Watch even more great videos when you become a Skill Shack member! Any capable restorer of classic cars ought to know how to decoke an engine. Over time the engine on a classic car becomes backed up with carbon, which causes the efficiency of said engine to drop. When enough carbon builds up, it might be time to decoke the engine–but how do you know whether it’s the right time? 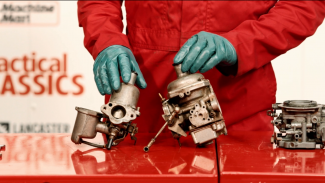 Throughout this course, Danny and Ed will teach you some of the basic tips any car restorer needs to correctly maintain cylinder heads and gaskets, focusing on how to decoke an engine once the head has been removed. 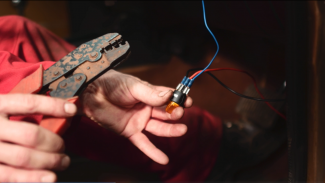 In the first step of our five-part course, Ed Hughes teaches you the basics of electricity and how these basics apply to the wiring on your classic car. 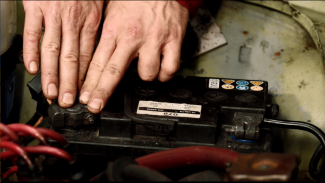 You’ll learn some of the key terms that will come in handy later in this series, including the essential technology that connects your car’s electrical components to the car’s battery. 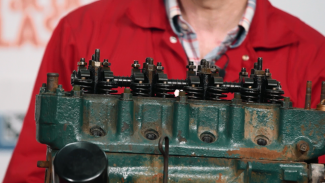 There are multiple reasons why you’d need to remove the cylinder head from the engine of your classic car. Ed Hughes teaches you what to look for when deciding whether to remove the head, and then demonstrates the proper technique for doing so. Now that you know how to join two wires and you have a basic understanding of circuit diagrams, it’s time to try your hand at a simple project. Learn how to use essential tools and your new knowledge of electrical wiring to install auxiliary lights to the front of your classic car.